Do you want to become a member or train once? 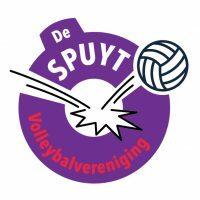 Send an email to Casper Middelkamp (our secretary) at secretaris@vvdespuyt.nl stating your volleyball history, level, position (s) and your ambition (e.g. recreational volleyball, just training or playing competitions). We need this information so that we can find the best match (a team that is looking for players for the position you are playing, a team with a similar level or the recreational volleyball). We are the nicest volleyball club in Amsterdam! You are always welcome to play with us; either in the competition or with the recreational players. Our association is small and all the members know each other; that is why we communicate directly and efficiently with each other. Do you have any questions or doubts? Drop us an email! If you mail Casper with this information, he will, together with our technical committee (TC), designate a training group with which you can train three times without obligation before you and the team make a decision. No pressure, just a matcher!